Jacobsmeyer is the executive vice president of operations and president of inpatient hospitals at Encompass Health. Prior to joining Encompass Health in 2007, Jacobsmeyer served as chief operating officer for Des Peres Hospital in St. Louis. She received her bachelor's degree in physical therapy from St. Louis University and her master's degree in health services management from Webster University. Rock serves as the chief compliance officer for Encompass Health. 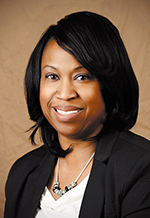 Prior to joining the company, she served as a vice president for Kaiser Foundation Health Plan of Georgia. Rock holds a juris doctor and certification in health law from the University of Maryland School of Law and a bachelor's degree in social work from University of Maryland Baltimore County. Go Red for Women is nationally sponsored by CVS Health and locally by Encompass Health. Local media sponsors are ABC 33/40, Over the Mountain Journal and This Is Alabama.